Cared for by the National Trust for Scotland. Escape the everyday, and discover a beautiful island of distinctive rocks, magical caves and seabirds. 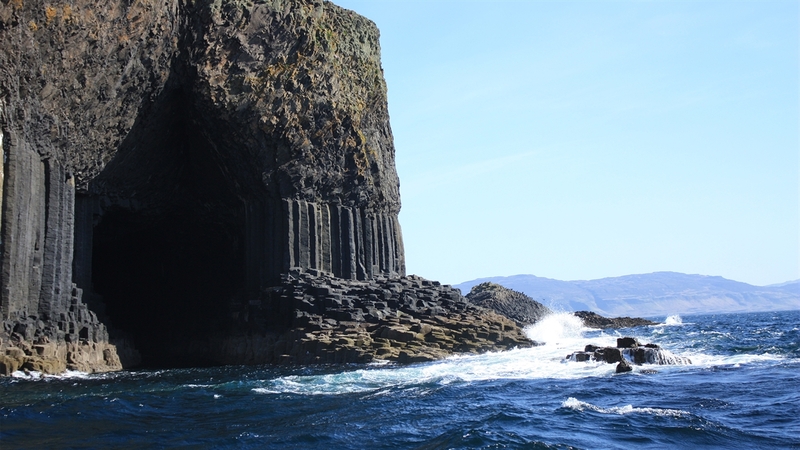 See the famous hexagonal rock columns, formed millions of years ago by volcanic eruptions, enjoy a puffin-spotting picnic on the top of the island, or listen to the astonishing acoustics of Fingal’s Cave. This little island (0.5 miles long and 0.25 miles wide) off the west coast of Scotland looks like it may be from a different planet. 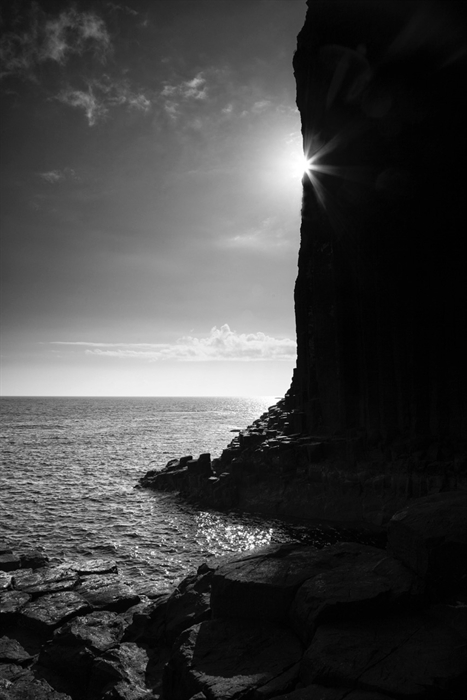 Years of waves crashing against its unmistakable rock columns created the magnificent Fingal’s Cave, which inspired Felix Mendelssohn to compose his celebrated Hebrides Overture. Experience the amazing sounds in the natural temple of the cave and then, in summer, watch the antics of the puffins that nest in burrows on top of Staffa’s high cliffs. 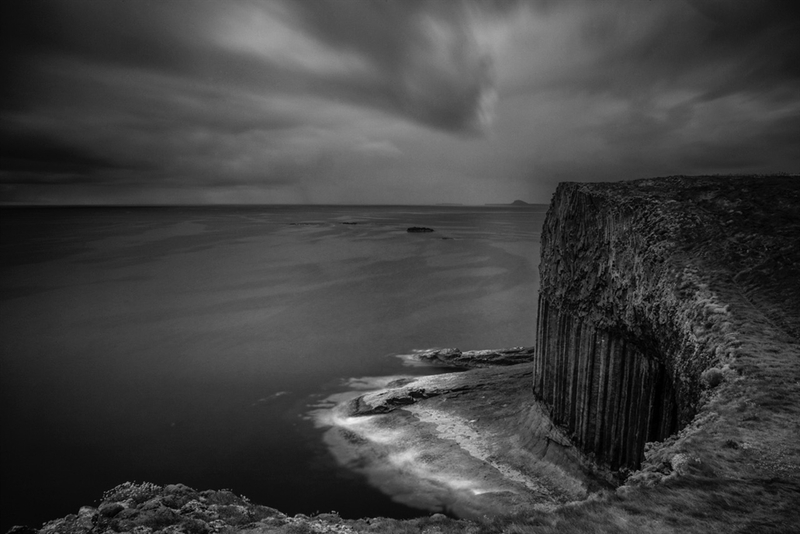 The small cave at Gunna Mor (‘the cannon’) creates a dramatic and thunderous noise when waves strike the cliff below. Tour boats operate from Mull and Iona. Telephone one of the local Tourist offices for details – Craignure: 01680 812377, Tobermory: 01688 302182 or Oban: 01631 563122. Poor weather may prevent access.